In Kenya, IDH builds on the interest of tea and other companies to conserve the South West Mau Forest for its microclimate services and of the Kenyan government to improve livelihoods of communities. Together we work towards holistic, sustainable landscape management including forest and water management, sustainable energy and community livelihoods. Beginning with private sector collaboration IDH was able to put together a unique multi-stakeholder program in the Mau, which for a long time was deemed impossible. Fueled by strong business drive, the public private coalition, the Initiative for Sustainable Landscapes (ISLA) Kenya is able to execute multiple conservation and livelihood improvement projects. One good example is the livestock intensification pilot with SNV and co-funded by tea companies Unilever and Finlays. It covers 200 households along the north-eastern boundary of the South West Mau, where deforestation is happening due to cattle grazing in the forest. Farmers are trained, mentored, and coached to adopt best livestock practices. It builds a business case for farmers to keep and feed their cattle close to home, improving their livelihoods while reducing livestock encroaching in the forest. Early pilot results from 2018 show milk production went up from 4.7 to 6.6 liter per cow per day and prices went up from KSH25 to KSH30 per liter. The cattle grazing in the forest went down from two to one cow/farmer. Based on these promising results, IDH is inviting other donors to join the upscaling phase by targeting new farmers the same area. Furthermore, ISLA Kenya has inspired the tea industry globally to engage in landscape approaches elsewhere, from Misiones in Argentina to Mount Mulanje in Malawi. 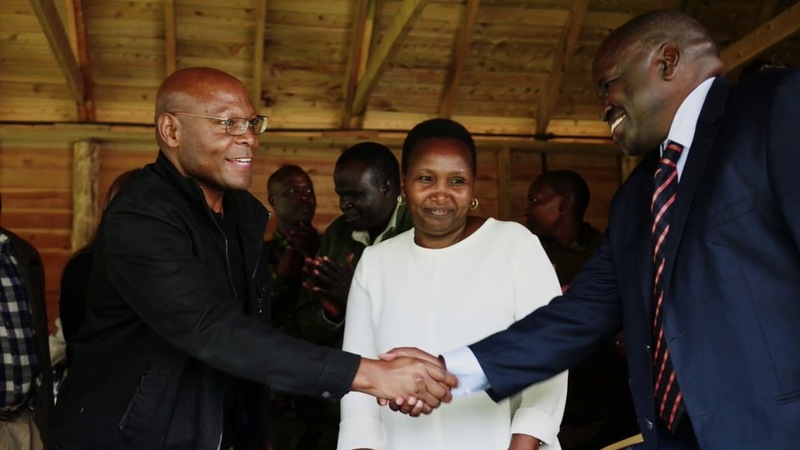 To scale up this work across the Mau Forest Complex, IDH has set up a long-term governance structure: the Stawisha Mau Trust and other public private partnerships (PPPs) in Kenya and beyond. It can also transform the land-use of the Mau at scale by creating new business models for forest protection with communities such as water and forest stewardship, and carbon finance. The Mau Forest Complex in western Kenya covers an area of over 400,000 ha and is ecologically and economically critical for Kenya and parts of East Africa. More than 10 million people depend on its rivers. The forest also influences the region’s microclimate such as rainfall patterns, creating ideal conditions to produce crops such as tea. Furthermore, the area is one of Kenya’s main water towers and a significant percentage of its hydroelectric power is generated here. In recent decades, more than 25% of the forest has either been cut down or degraded, putting tea production, other sectors and community livelihoods at risk. This is caused by growing populations, unsustainable livestock grazing, charcoal burning and timber extraction from the forest. Addressing these issues has been challenging due to limited coordination between stakeholders. Meanwhile, past sustainability initiatives focused on individual organizations or value chains, with limited impact for the wider region. Developing sustainable business models for livestock intensification, or training farmers to rear cattle more productively at home, rather than grazing them in the forest. This will help reduce deforestation, while supporting communities to increase their incomes. Installing and maintaining a forest buffer with regulated access to the forest for communities and livestock. Addressing illegal commercial activities including through aerial surveillance flights, and training community forest associations, law enforcers. Developing an integrated management plan and a REDD+ strategy for the region. Developing sustainable business models for alternative/green energy for communities, companies and institutions. Developing a sustainable water management system. IDH has put in place a multi-stakeholder coalition that governs the ISLA Kenya activities, made up of ISLA Kenya partners. We also established the Stawisha Mau Charitable Trust – a governance system to ensure the long-term financial viability of the coalition. Download the action plan here.